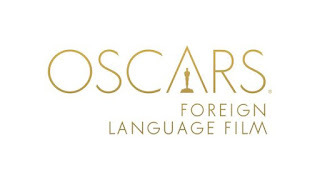 Yesterday the Academy released the accepted foreign-language films that will compete to be included in the shortlist of 9, get one of the 5 nominations and the ultimate goal, win an Oscar. This year there are a total of eighty-seven (87) films, five short of last year ninety-two and there are quite a few countries that submit for the first time like Belarus and Malawi, for example. Until yesterday the list had 81 countries, but there are not 6 new as 2 are out (Cuba and Kyrgyzstan) and 8 (Armenia, Australia, China, Kazakhstan, Malawi, New Zealand, Niger, Yemen) are new. There are few films that have a different English name in the official list and for post purposes the list below will have the names in the official list, even when at least one film, official English name is not the one in AMPAS list. Last year there were twenty-seven (27) films made by a female director, this year there are only seventeen (18) which is 9 less than last year and there is a slightly lower proportion from what is the norm in the fest circuit. There is no leap again this year and wonder when female directors presence will be closer to the population proportion of 50/50, as there is no doubt in me that talent does not only belong to male directors as any human being can be/is talented no matter their gender. Remarkable is the presence of quite a few documentaries, as year after year trend seems to go up and upper. To me, this speaks about the quality of documentaries that not only tell a compelling story but storytelling is done with breathtaking visuals. Still, one of the most extraordinary documentary filmmakers has a film in this list and as always his storytelling style is effective to generate pain, as much pain as when a knife is pushed hard into your heart, when Rithy Pahn tells another side of Cambodia's awful recent history. Not hard to see that most films come from famous film festivals like Cannes, Venice, Moscow, Karlovy Vary, Locarno and more; what is remarkable this year is to have in list the top award winners like Cannes Palme d'Or winner and Venice Golden Lion winner plus other fests top winners such as Karlovy Vary fest and Montreal fest. As a matter of fact almost all 2018 Cannes top award winners are in list as Japan, Lebanon, Poland, Kazakhstan, Italy, Belgium, Sweden, and Ukraine's submissions are indeed Cannes top award winners! Fantastic to have all fest films competing against each other, but not so-much for me as already knew about films and usually this list gave me insights into world cinema with films that increase my must-be-seen queue. Not this year; but, hope to find one or two hidden gems that could blew my mind when eventually able to watch them like, for example, the puzzling Niger's submission. So, that's it. Unless something happens, this is the list of what each country believes is their best film to represent them in the Academy Awards that now has more non-American, non-English mother tongue and slightly more younger members than ever before. The new demographics plus the new regulations (new ways to watch with no more color codification) and countries investing more and more into promoting their submissions, could change the category hopefully for the positive. In about two months we will learn if the many changes will prove to be a positive move, when the shortlist of 9 is announced at the end of December. Have my favorite films that wish AMPAS could honor, most because LOVE director's filmmaking and storytelling style; but know that mostly popular films with more conventional filmmaking style could or will prevail, sigh. Still, hope Poland and Mexico's black and white unconventional submissions will stir Academy members, Turkey's extraordinary director's filmmaking style could move AMPAS members as much as it moves me, Paraguay's darkish/humorous old age reality-check story told with interesting developing style will make them feel, and Ukraine's outstanding director's drama will impact them as much as many of his documentaries have done to them and me. Sigh. As in previous years there will be links to sources via Pinterest, but only in the original language, my suggestion is to use Chrome for the easiest auto-translation. Submission to AMPAS deadline is Monday, October 1st, 2018 @5:00pm PST. Female directors are in Blue. To check official announcement go here. As noted below, yesterday 5:00pm PST was the submissions deadline and the most interesting compilation of films from around the world comes to an end for another year. Until this moment, there are eighty (80) countries that submitted a film for AMPAS consideration and had some formal or informal press release, news dispatch, announcement live stream or released a tweet, a facebook post or even an instagram post. But soon the official list will be published, perhaps as sooner as last year when AMPAS announced the official list within the next week, against two-weeks or more it used to take before. The list will confirm if all eighty submissions were accepted or if some were rejected. I'm still hoping final announcement will bring more films as still pending are Kazakhstan, Malaysia, China, Australia, New Zealand, Ireland and more. Worth mentioning is the buzz around Zhang Yimou's Shadow as China's submission, but still no official confirmation; IF film is sent then race will be truly extraordinary as one more master filmmaker joins the already crowded competition for a mention among the 9 short list, a nomination among the 5 available and the ultimate goal, to be named the Best Foreign-Language Film in the world of cinema. No film festival in the world has a lineup of master filmmakers competing against each as this year's submissions have. Many of my most admired director have a film in the competition, starting with Nuri Bilge Ceylan, Sergey Loznitsa, László Nemes, Matteo Garrone, Nadine Labaki, Alfonso Cuaron, Pawel Pawlikowski; and in a second level, Hirokazu Koreeda, Aida Begić, Rithy Panh, Ciro Guerra, Pablo Agüero, Florian Henckel von Donnersmarck, Radu Jude, and Alvaro Brechner. Fifteen directors representing well-established filmmaking styles plus some that are still developing their own style. Also there is one newcomer with a film that made huge waves during the last festival season, Las Herederas by Marcelo Martinessi a film that could surprise many if gets a nomination. Yes, have seen many (some I liked, some did not) and there are many more that are still pending with all this traveling that's making my life upside down. Still, have many months until next race begins to try to find the hidden gems in the list. 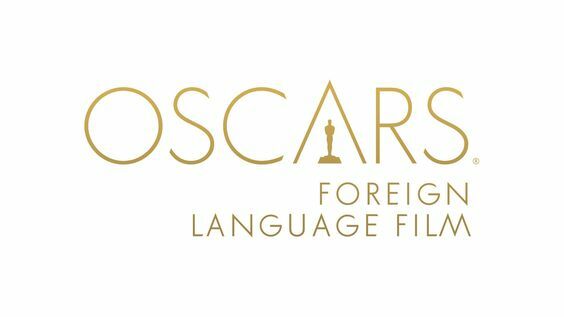 First time since this blog started that I'm late with foreign language films submissions to 2019 Oscars but as some of you already know, traveled to another city in another country and another continent! So there where many changes and none benefit me paying necessary attention to the blog. On top, by the end of the month I'm going to a new city again, but best news is my hope to have more time to do what I like most, thinking/talking about great cinema. Will not skip doing the post that speaks about some of the best of World Cinema, but maybe will be slow to do all the task intensive work to find news and announcements from countries. Sigh. As we know since last year when they change their selection procedure, the first country to announce its submission is Switzerland as does it at Locarno fest, but seems this year there were two countries that took the lead, Belarus and Romania. So the race started earlier.